If you’re prepping your home for an open house, you already know it’s important to polish how your home looks inside. But many sellers overlook the outside of their home—and if you neglect that, you could miss out on potential offers. Lots of them. No time to paint your entire house? Then paint just your front door to make your place feel cared for as potential buyers cross the threshold. If your house is a neutral hue, use the front door to add a pop of bright color; and if your house is not neutral, paint the door a complementary color. If landscaping the whole yard won’t fit in your schedule, just sprinkle some bark mulch around in-ground plants to give the whole yard a polished look. Mulch is the No. 1 way to give your garden a face-lift really fast. And if you don’t want to prune every tree and bush on your lawn, be sure to pare down anything that obstructs visitors’ view of the house or crowds the path to your front door. Before they decide whether to attend an open house, home shoppers might drive by after dark, so add extra outdoor lighting to ensure your home looks warm, welcoming, and safe. Rejuvenation makes outdoor lights in a range of styles that look both classic and contemporary. For extra panache, place up-lights under big trees and add path lights leading to the front door. Last but not least, put the lights on a timer so they’ll always switch on at dusk (especially important during the fall and winter when you might not get home until after dark). Freshen up your mailbox with a coat of spray paint, maybe the same color you used on the front door. If your mailbox needs more than paint to look appealing, replace it with one with a brushed metal finish. Visually prominent street numbers send a message that your address inspires pride, so show it off with number forms that have clean lines and are visible from the street. One affordable style: The Cast House Number, available at Wayfair, strikes a balance between modern and traditional and is available in nickel, copper, and bronze. When the day of your open house arrives, place a flowering potted plant or two on the front porch to create a cheerful, welcoming effect and distract from any less-appealing aspects of the home’s exterior. Keep flower choices simple and tied to the season, like pansies in the spring, flowering petunias in the summer, mums in the fall, and evergreens in the winter. A brand-new doormat looks welcoming and can distract visitors from the fact that your windowsills need to be painted. Skip the monogram, and stick to a classic style to appeal to the biggest swath of buyers, A lattice rubber mat or a natural fiber mat such as these “picture frame” coir doormat or braided knot doormat. You know to put away your family photos and knickknacks when showing a home. However, it’s equally important to remove personal touches on the outside. So pack away any kid and pet toys, take down the flag of your favorite football team, and remove the life-size animatronic manger scene from last Christmas. In fact, hold off on all the holiday décor, since not everybody celebrates the same holidays or gets festive in the same way. 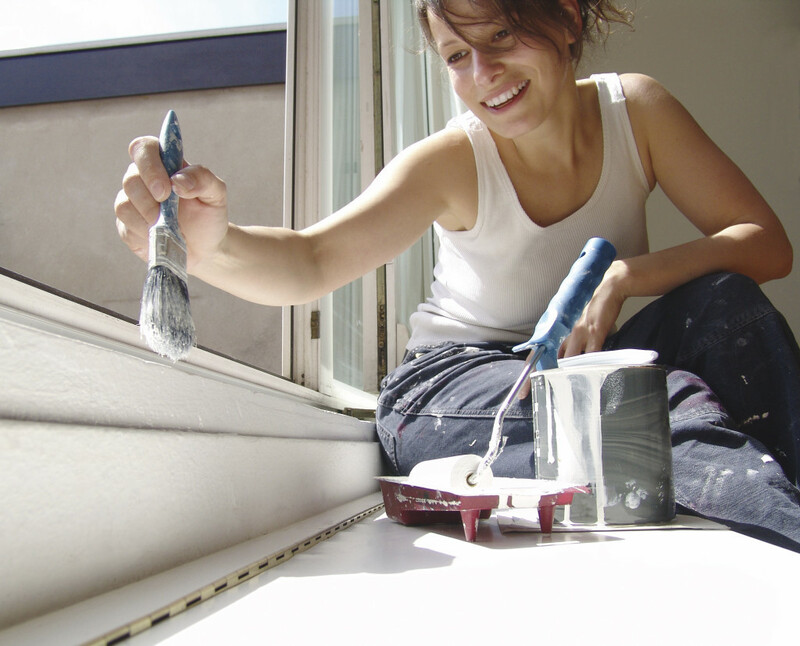 One sneaky way to make your home look more high-end on a shoestring budget is to make sure little things match. Get a new doorknob, door knocker, and porch light in the same metal and finish. Or paint the porch railing and the mailbox the same color, and add two or more matching accessories (e.g., blue flowers that complement the cushion on the porch bench or a stripe on the welcome mat).